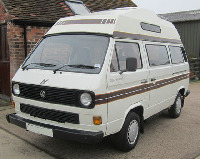 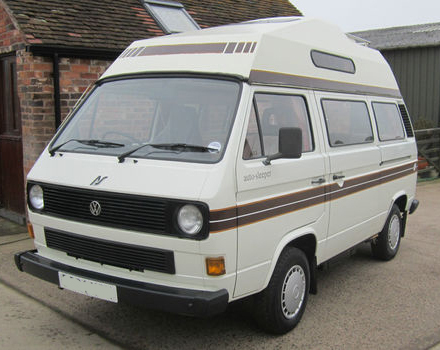 VW Bus Description: 1987 VW T25 Autosleeper VHT Hightop Camper. 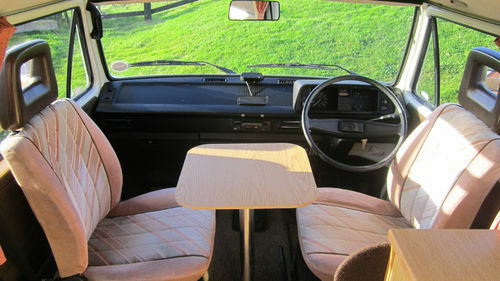 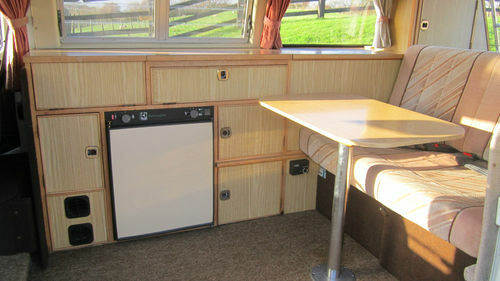 The front table and swivelling cab seats were available as an extra when initially ordering the van. 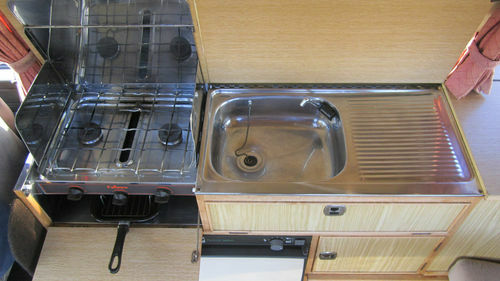 The Autosleeper VHT was later renamed the Autosleeper Trident.